The proliferation of digital marketing platforms presents exciting opportunities to reach potential customers with a multi-platform marketing strategy but conversely, you’re probably struggling to keep pace with them all. The challenge of generating enough compelling, engaging content and the in-house resources needed to produce campaigns means your marketing team is probably spread rather thin. Marketers should focus on activities to grow the brand, including strategies to generate qualified B2B or B2C leads for the sales funnel, and nurturing and converting these to life-time customers (LTV), rather than getting bogged down with tactical campaigns or website changes. 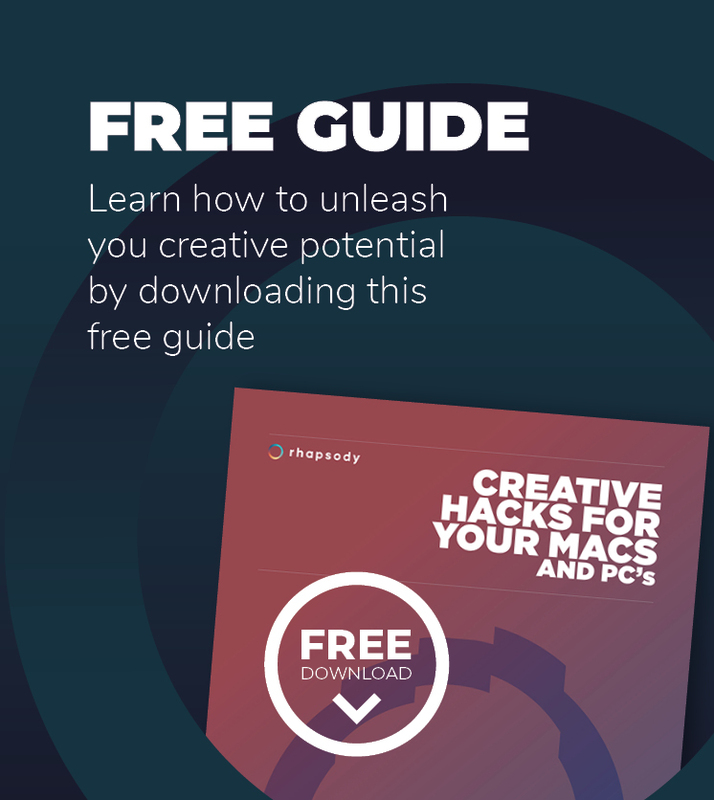 By using a full-service creative agency to handle your brand you can draw on their many years of creative experience and expert skill sets to create a unique set of USP's to help your brand really stand out in the market. As well as gaining access to the latest digital marketing expertise, using an external agency on a project or retained basis can also be more cost effective than incurring full time creative resources on your P & L and frees up your marketing department to concentrate on growing the brand. A good creative agency will take the time to understand your business and develop original ideas that will resonate with your target audience and, equally importantly, help you achieve your sales goals. Data insight should sit at the heart of every marketing campaign, so task your agency to build campaigns that are aligned with your own objectives with measurable outcomes. Providing detailed analytics and ROI evidence back to the Board will always keep marketers up at night. A performance-based creative agency will be as focused as you are on generating a return from your marketing activities. The marketing channels you end up choosing will ultimately depend upon where your audience is, your specific marketing objectives for the campaign, and the level of budget you have available. In this article we look at a few of the main channels and how working with a creative agency can help you increase your ROI. Branding - Does branding really determine marketing ROI? Think of the world’s most successful brands and no doubt Apple, Nike or Amazon are some of the ones that come to mind. Branding is one of the most effective strategies that businesses can use to connect with target consumers by creating a strong core identity and clear differentiation against the competition. Over time, this reputation for trust leads to increased brand loyalty thereby creating increased revenue opportunities through premium pricing, new product development and brand extensions. This is why it is so important to get the branding right. If your brand is looking tired, out-dated or is no longer relevant to the market it serves, it could be time for a brand refresh or even a relaunch. A recent study The Dangers and Opportunities for Tired Brands concludes “Fixing brand tiredness can boost profits and win back shoppers, and is a particularly effective way to engage younger consumers and higher earners.” 85% of respondents in the study went on to say that they would go back to a formerly beloved brand if it revitalised itself again, which demonstrates how a brand can generate marketing ROI. A creative agency will guide you to the right brand strategy, including brand positioning and tone of voice, as the example of the recent rebrand project for Ulterior Events shows. 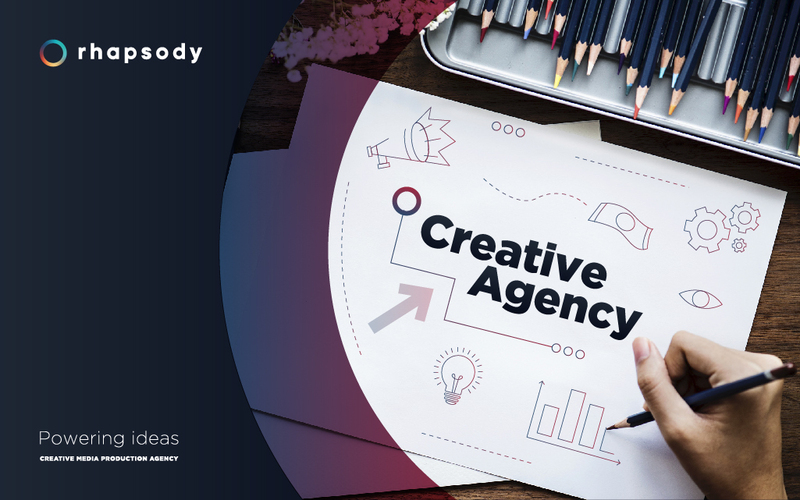 Good creative agencies aren't just designers but strategists too, they will look to develop creative ways to effectively connect your business with its target audience and come up with a brand identity and campaign ideas to deliver upon your sales objectives. Once the rebrand has been launched, keeping control so that everyone who comes into contact with the brand uses it correctly, can be complex and time consuming for marketers to police. A creative agency will provide consistency and uniformity, achieving a cohesive overall brand feel across all marketing and advertising campaigns. If you think that branding is only important for B2C brands then think again, because whilst slow to catch up, most people understand that branding is now every bit as important for B2B businesses as in B2C. A strong brand is proven to build consumer trust and shortens the sales cycle. So it’s a logical conclusion that focusing on your brand can improve your marketing ROI and help improve customer acquisition. Content might be king, but video is becoming the absolute ruler of the digital world. Take a look at the numbers for a second. According to a recent Cisco report, online video will make up 82% of all consumer internet traffic worldwide by 2021. And, that’s not surprising considering that close to 80% of people claim that they watch online videos every week, while 55% of them watch videos every day. When it comes to video content, up to 95% of the message is retained by the viewer as compared to only 10% when reading an article. This is a clear indication of the fact that one minute of video is indeed worth 1.8 million words. For driving conversions and sales, studies show that adding a product video on a landing page can boost conversions by almost 80%. In fact, just adding the word “video” in the email subject line can increase open rates by almost 20% and click-through rates by 65%. The numbers are clear - video is a powerful marketing tool. Audiences appreciate genuine content that showcase the human side of the brand rather than sophisticated video productions that don’t tell a story. Over 80% of the businesses that have used video as a marketing tool have seen a good return on their investment. It is no longer the case that video is expensive and is therefore out of reach for smaller brands. A mobile can be a good enough tool to produce a decent quality video for your own personal needs, but if you want to generate excitement about your product and engage your audience, then consider using the services of a creative agency to produce a professional corporate video. So, is video worth your time? The short answer is: yes, definitely. Let’s see how and why it can help you boost your ROI. When it comes to video, engagement refers to the length of time that viewers actually watched or interacted with a piece of video content. And, in a world where video is becoming the new norm, shareability is vital to achieve a return on your investment. We're not saying you must “go viral” if you want to see significant results as ‘viral” is not a quantifiable success metric. But, if the final views of the video are limited to not much more than your internal team then it’s a wasted opportunity. When developing the creative and marketing strategy for your video content, think about what will interest your audience – are they looking for entertainment, information or inspiration? Here's a great example of a promotional video which helped The Ritz Club to grow engagement and increase ROI on their membership. Providing worthwhile content that matches what your audience are searching for, will retain attention, help them feel invested in what’s being communicated, and persuade them to act. One of the key factors that Google takes into account when deciding which sites to rank first is the time users spend on a particular page. Research shows that pages which contain videos are over 50% more likely to appear in the first results compared to those that solely rely on text. Of course, simply embedding a video on your website isn't enough to increase ROI. You also need to optimise your videos and make it easy for both users and Google to navigate them. Ensure you include catchy and relevant titles and descriptions, add a link to your website or landing page, and make it easy for prospects to take action. Here are 5 essential website tricks to appear on top of Google. 98% of consumers say they would rather watch a video that explains how a product works than read an article. Using video presents your brand in a premium light, can make it feel more authentic, present, and up to date with what consumers want. It creates an almost instant connection with your audience and can also help you differentiate yourself from the competition. But, how can you make sure that your videos are telling an engaging story? Be direct and choose one main idea you want to communicate and focus on. There is so much pressure to be creative and have an out of the box approach that we forget about the message itself and only focus on the package it comes in. Storytelling is not an easy job – you need sensibility to help people to become emotionally invested in what they are watching. Compelling videos help the audience feel like they are part of something bigger and are contributing to it. Without the emotion the content could be bland. Your brand is more than just a product or service. You need to bring it to life for the audience to connect with it. This is where video can make a difference. It’s easy to understand why video has become so popular – it’s accessible, easy to digest and the message is more easily retained than reading an article. And as it is so emotionally engaging, it has the potential to provide a significant return on investment for your business. It is often said that an image can speak a thousand words, but when it comes to marketing a brand or a product this is not always the case.. The story an image tells in marketing is often down to many different factors, including quality, composition and relevance. If these are not quite right, the message can be lost entirely. Imagery has never been more important than it is today. We're not just talking about the rise of the Instagram generation, but the connections that images can make with your target audience on many different mediums and in any location. When a business acknowledges the significance of good quality photography, amazing things start to happen. Professional photography requires a trained eye that is able to convey quality, communicates value and captures emotion. Whether you are trying to send a specific message with a single image or you want your product range to stand out in an ocean full of similar products, many marketing goals can be achieved with professional photography. Packshot photography is used to capture a moving or still image of your product including labelling and packaging. These images trigger recognition and stimulate sales, whether online, on the shelf or in a catalogue. There is little room for creative license with packshot photography as images need to reflect the product in real life. This means the photographer must take care to ensure shapes, form, colours and branding are conveyed accurately. When done well, products can leap out of the page and create an urgency to buy. Still-life photography is an ideal way to promote a product, create a moment in time, illustrate the harmony between product and customer or the emotions a brand provokes. A still-life image, when planned and captured well, can show balance, texture, colour and light in ways that really bring your marketing campaign to life and resonate with the viewer. If you're looking to give your marketing campaign a different direction that provokes thought and gets people talking, conceptual photography is a great option. Conceptual photography, as its name suggests, puts across a concept or idea rather than being blatantly obvious. It is often very imaginative and distorts reality causing you to question what you know or believe. If you are looking to create a viral campaign that is shared far and wide, conceptual photography could be the best way to go about it. Experience is backed up by numerous studies showing that original and unique imagery is far better than stock photographs because it does a better job of engaging your audience. People are swift to make judgments about a company based on the quality of advertisements, posts and website images, as well as the images shared. Original images are better for your brand and will help you establish a stronger connection with your customers/fans. Stock photos can be appealing because they are easy. But they are also easy to spot for the disillusioned viewer who is bombarded with marketing content everywhere they look. Paid photographers will produce unique, original photographs such as packshots that personalise your business and the projects you are promoting. If you use a stock image that a competitor also uses, it can be confusing to your audience and doesn't reflect well on either of you. Click-through rates are also increased when custom photographs are used, as this study demonstrates. Thanks to the prominence of imagery and photography in the world today, there are no limits to how you can use images in your marketing campaigns to get your point across. A creative agency with years of experience will work closely with you to not only bring your ideas to life but also ensure you see the best return on your marketing investment. Most of us spend a lot of time at home and at work surfing the internet and navigating between different sites. In fact, it’s a day on average every week. Common issues faced are complexity across sites i.e. poor navigation, slow load-time and no clear calls to action. Many businesses still also struggle to come up with innovative ideas and an appropriate user experience (UX) strategy for their users. These are key challenges that need to be considered and optimised, and much of the time businesses simply don’t have the resources in-house to make such improvements. Before any work commences, your chosen creative agency should map and share a thorough UX strategy with you that meets your website goals. This should include a clear understanding of your target market, and analysis of your current site as well as thorough site-mapping. This will provide you with a clear visual image of the navigation path between pages on the website, highlight possible improvements and detail a clear plan of action. One of the most frustrating user experiences for website users is waiting too long for a page to load. With the global increase in mobile traffic across websites (People are on average online for 24 hours a week) it is crucial that your creative agency can help or consult with you to improve the optimisation of page speed. Have you tested your site speed recently? Check out this Free Google Insights tool. Your aim should be to decrease the percentage of bounce rates across pages as Google can penalise and degrade your website for poor user experience. According to Forbes, one of the top challenges marketers face today is how to drive meaningful engagement and growth. This could be relevant for any type of marketing channel including social media, but let’s focus on growing engagement on your website. Have you thought about implementing moving graphics, gifs or interactive experiences which you can embed via an iFrame? Here is an example of SG Digital’s recent interactive experience showcasing newly introduced rules on sports betting in the USA. Rhapsody, as their creative agency, designed and built interactive maps, moving images and clickable content throughout the experience to inform their viewers in a unique and immersive way. Another tip which could help you grow engagement on your site is to use plugins. If your website is built using WordPress, you can implement extra plugins available on Envato Market which support carousels, “hover over” effects, chat bots and other interactive features. If you don’t currently have the capability to do this in-house, a creative agency can also help. Why is print marketing still essential? We live in a world where technology has become the norm. Digital marketing now forms an integrated part of most marketing strategies, depending on the products or services you provide. However, this doesn't mean that traditional marketing techniques should be overlooked. Print marketing is far from obsolete; in fact the opposite is true. Print creates a great impression, is a cost effective way to raise awareness of your business and works perfectly when both print and digital campaigns are integrated together. Cross-channel marketing delivers an integrated experience that improves brand awareness and brand recall through a combination of several different marketing channels. For example, when seeing a TV ad, poster, or reading a leaflet in-store, a consumer might go on to enter a competition by clicking on the QR code or a website link. Then, assuming they give opt-in permission, they receive follow up targeted emails or vouchers in the post with incentives to sign up or purchase. This creates a seamless brand experience that leverages numerous customer engagement techniques when the user is engaging with different media at different types of the day. The approach closely aligns with consumer behaviour as people now consume both online and offline media often simultaneously. User behaviour is fractured more than ever before and because there are so many options available, cross-channel marketing helps to create cohesion between the platforms. Think about Facebook's recent launch of a quarterly printed magazine. Although Facebook is an online brand, they have begun utilising print advertising and posters to support their campaign against 'click bait' and 'false news’. The posters mirror the advertisements that users see when using Facebook. The result is a cohesive, cross-platform message that ensures brand consistency while influencing user behaviour. Print marketing is an extremely visual marketing channel that creates a long lasting impression and helps establish trust with customers. Print has a tangible feel - magazines, quality catalogues or travel brochures have a long shelf life with valuable content that is kept and reused. Research from the Direct Marketing Association shows that households keep advertising material around the home for up to 17 days. Print works hand in hand with digital marketing to drive online and in-store purchases. The power of print also lies in the ability to make it response-driven including Calls to Action (CTA). Sophisticated variable data printing (VDP) technology means there are now imminent possibilities to personalise the message to the target audience making print even more relevant and timely. With the scrutiny on permission-based email marketing since GDPR was implemented in May 2018, there is much to suggest that direct mail volumes will increase. Think about how many emails you skim past when wading through spam – it’s difficult for brands to cut-through the noise and clutter. A cleverly designed, well-targeted piece of direct marketing drives impact; people are more likely to pay attention because it is refreshing and unique. Furthermore, print media can be used to make customers feel valued and drive loyalty. Sophisticated retail loyalty campaigns, spearheaded by Tesco ClubCard, have become enormously effective. They are tailored to the user's particular behaviours and drive greater customer retention in the long term as well as generating enormous levels of customer insight. For print marketing to be successful, the campaign needs to be perfectly targeted to the needs of your audience. The endless creative opportunities of print and a sound knowledge of paper and finishing options, is what brings out the best from a creative agency. A creative marketing agency will help you to deliver a cohesive approach to your company's overall marketing strategy, and an integrated look and feel that will be consistently represented across all media channels. If you don't have an in-house creative team, then working with an agency is essential to succeeding with any print marketing campaign. Factor in a smart cross-channel strategy and print media is a fundamental component of developing a strong brand and inspiring trust for repeat interactions and lasting customer relationships. Potential customers are researching products and solutions online, trusting user recommendations and review sites before reaching out directly to brands. Which is why content marketing has become so important as a discipline. Content marketing is all about providing valuable and relevant content to attract a clearly defined audience and to ultimately drive action. In simple terms, digital marketing done correctly means that customers find you online. One of the reasons digital content marketing is so effective is that it has the capability to significantly increase the success of inbound marketing and is cost effective and measurable. Whether it’s a regular newsletter (see a successful email campaign delivered for Nike), an infographic with product advice and tips, or a promotional video to drive traffic to your website, it’s all about driving awareness and helping make customers to make informed purchasing decisions for long term ROI. See how Rhapsody helped The Culture Trip and Talisker whisky brands, who teamed up to create an immersive content hub experience.The website features personal stories from The Culture Trip meshed with dramatic images and embedded video, and links consumers directly to Talisker’s Amazon page to purchase products. Microsites are defined as branded content and live outside a company’s home page. They are quick and cost effective to set up and are perfectly placed to support events or specific promotions. A good example is The British Heart Foundation microsite for MyMarathon which is full of inspiring information delivered in an easily digestible format. It includes multiple calls to action such as fundraising options, e-commerce, app endorsement and the integration of social media activity, helping to generate more followers, likes and improve the awareness of MyMarathon. Although used for totally different purposes, these two digital content experiences have a few things in common. They were both created using a freeform canvas, at a fraction of the time and cost it would take a developer through traditional means. They are live, fully customisable, interactive and engaging. They are both cloud based, and capture all-important user data for you to gain deeper customer insight and take appropriate marketing action. If delivered correctly, an interactive digital experience will lessen your struggle to discern who your audience is, what they are engaging with (and what they aren’t!). We all know that content is king but with this comes increased competition to gain audience attention and stand out from the crowd. In B2B marketing, static content such as financial reports or legislation updates can be easily be turned into interactive pieces of communication. 93% of marketers in a recent study agreed that interactive content is effective in educating buyers, versus just 70% for static content. 79% agreed that this type of content can have reusable value, resulting in greater exposure. Furthermore, visual content such as online quizzes or interactive games are 40 times more likely to be shared over social networks. More shares and engagement will ultimately lead to more buy-in from customers – conversion rates are increased by an average of 86%. When the question “What is your biggest challenge with content?” is raised, it is almost always met with the same issues - time, creative content production, establishing credibility and reaching the audience through the abundance of channels available (biggest challenges for marketers). It is a marketer’s dream to be able to create complex and captivating content with ease and time to spare. If you don’t fancy yourself as the next Rob Janoff, a creative agency will make your ideas shine and inform, and help you to increase the ROI from your marketing. 88% of B2B marketers in this survey said at least 10-30% of their content would be interactive by 2018 so if you haven’t already started, it’s time to start becoming more engaged. Are you looking to experiment with digital and engaging content? Request a free consultation today.